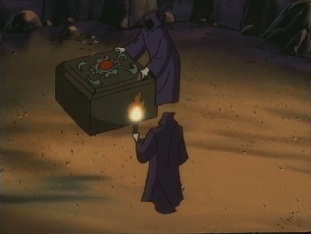 Some men in cloaks enter a cave and come across what appears to be a grave. 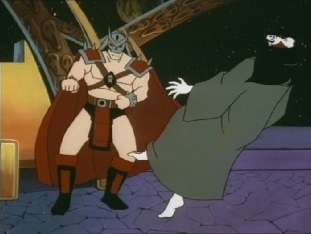 Inside the grave are bones, with this men take back to their master: Shao Kahn! 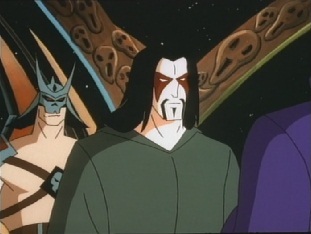 The men in cloaks, who are known as Shadow Priests, have prepared everything for Shao Kahn and pass him a formula they have created. 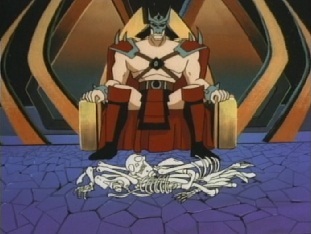 Shao Kahn spills just a drop of the formula onto the skeleton, which begins to change. 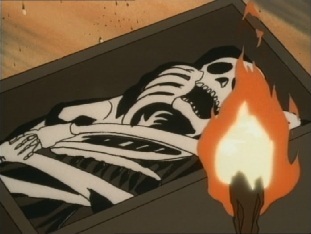 Soon, the skeleton is a person again, and comes back to life. 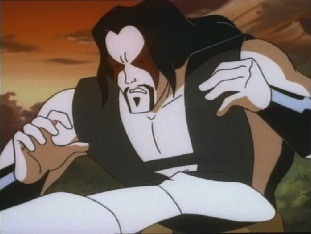 The resurrection has been completed: Shang Tsung lives! 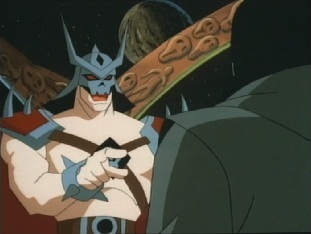 And Shao Kahn's first reaction to this event is to punch Shang Tsung in the face. 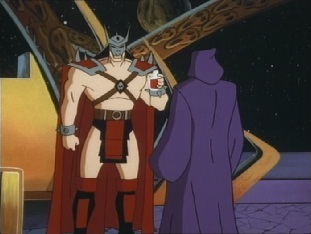 Shang wants to know why he has brought back to life for this, but Shao Kahn is angry with him as he failed him in the past. 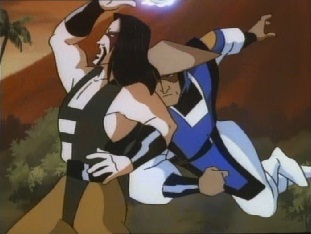 Because of Shang Tsung's defeat in Mortal Kombat, he lost the Earth realm. ...the orb. 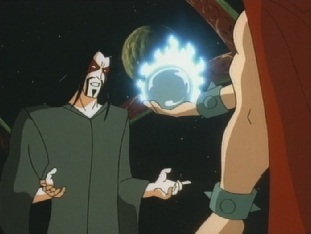 He says that this orb is a source of infinite power. 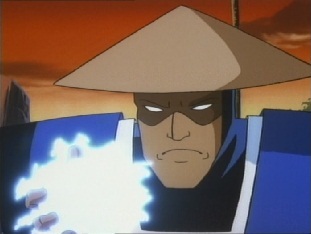 Whoever possess the orb can control the elements of the Earth realm -fire, wind, water, Earth, even Raiden's own thunder powers. Shang says it is most interesting, but what has it got to do with him being resurrected? 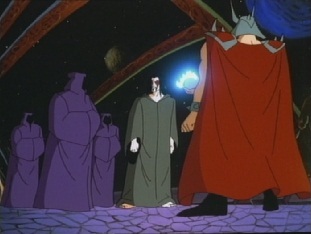 A Shadow Priest tells him that they have learnt that the more evil the wielder of the orb, the more powerful it can be. There are few who have existed who were more malevolent that him, which is why he is alive again now. 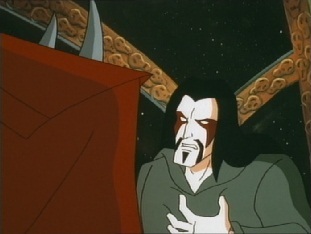 Shang Tsung asks what the plan is and Shao Kahn tells him that he will send out some warriors to lure out Raiden's minions. 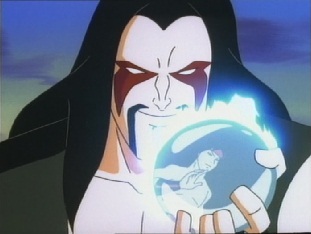 Then, when Shang Tsung appears to surprise them with the orb, the Earth warriors will never know what hit them. 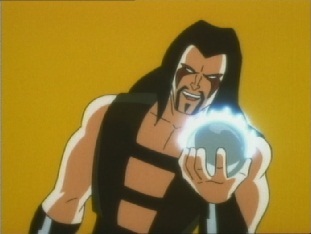 Raiden will have no choice but to come forward and defend his mortals, but the orb will render even the God of Thunder powerless. 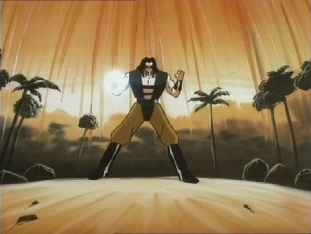 Once they have all been wiped out, Shang is to return to the Outworld and tell him so he can send a mighty army to the Earth realm and conquer it. 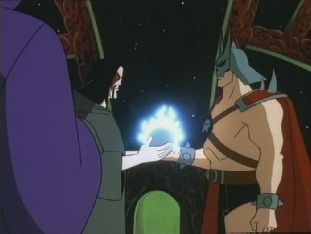 Shao Kahn reminds Shang Tsung of what will happen to him should he fail, then he gives him the orb before he and the Shadow Priests leave. 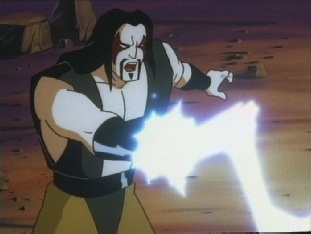 After they have gone, Shang Tsung says he will gladly take revenge on Raiden and his minions...but then he will also destroy Emperor Shao Kahn and rule the Outworld himself! 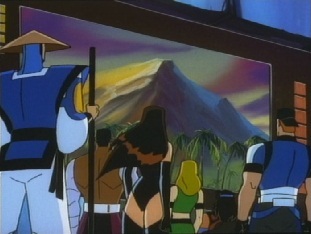 Meanwhile, at the MK base, Raiden is just watching as the team do some maintenance on their Dragon Jets. 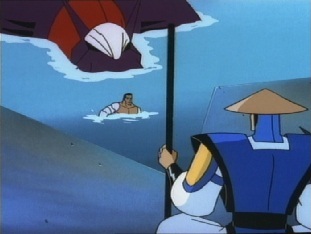 This means half the team are in the water and Jax suggests that Raiden get down here and help them. 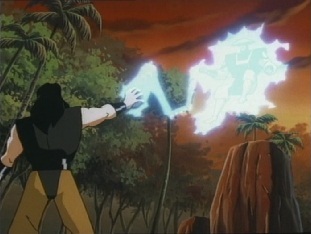 But Raiden suddenly groans and electricity starts to flow out of his body. Half the team go and check on him, but he says he's fine. 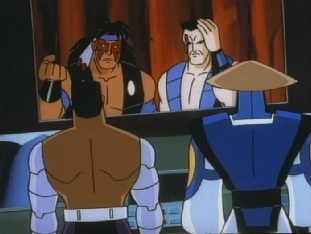 Jax doesn't buy it and tells him he knows he is hiding something, but Nightwolf then tells everyone that he needs them in the control room now. They report to him and he says there is no rip for them to go to, however, there is something bizarre going on with the planet's elements. He shows them videos of strange happenings, such as floods in deserts and fires in the Antarctic. 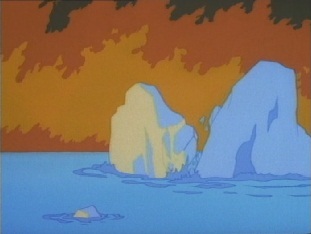 These are not being caused by the greenhouse effect, but it is as if someone is controlled nature itself. 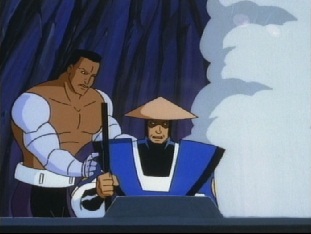 Jax notices Raiden looking shifty and asks what is going on. 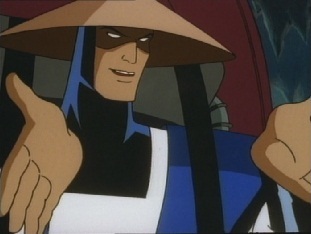 Raiden says that something is interfering with his powers. 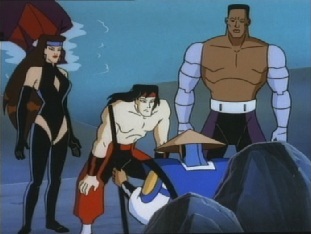 Nightwolf then alerts everyone to a rip and the team move out. Jax says he isn't feeling right and will stay behind, promising to get to them later if he feels better. Nightwolf says he'll go in his place and soon the entire team is gone. 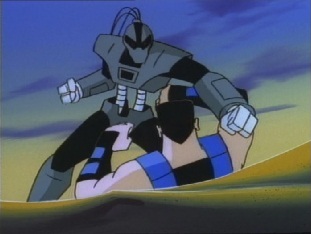 Raiden almost collapses but Jax catches him and helps him to a chair, but asks what is going on with him. 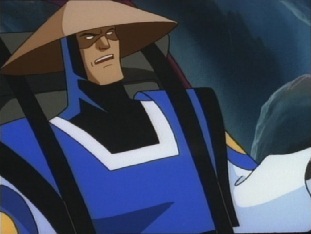 Raiden says that he feels that he is losing his powers. 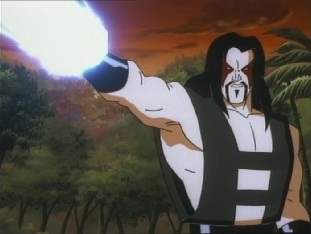 He's used to being powerless, such as his powers not working in the Outworld, but the Earth is where he draws his great strength from...now he could lose it there also. 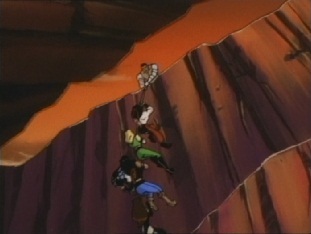 Meanwhile the rest of the team have arrived at the rip and are easily taking down the cyber ninjas they encounter. 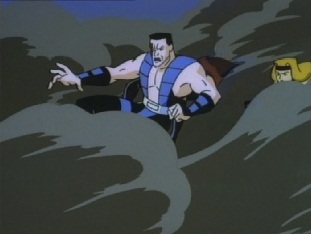 They push the ones which haven't been destroyed yet back through a portal, which Stryker says he will seal up. 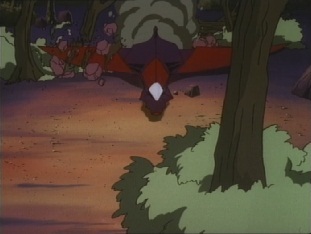 However, before he can do that, he and the rest of the team are blasted back by a strong wind. 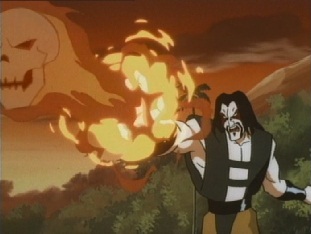 Shang Tsung appears, saying that they meet again -for the last time. 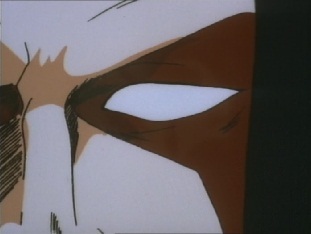 He says the Emperor has resurrected him and he has come to take his revenge on Liu Kang. Liu is ready to accept his challenge. 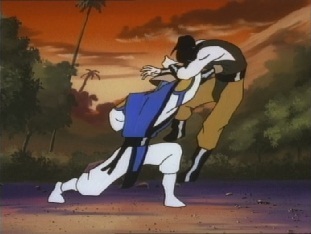 Liu Kang defeated him in the previous tournament, and he can do it again. However Shang Tsung says this time, he cannot win. 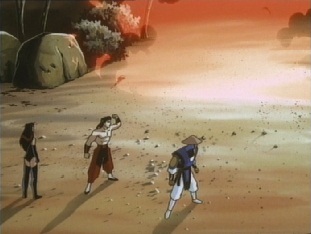 Shang uses the orb to crack open the ground beneath the team, and they tumble downwards. 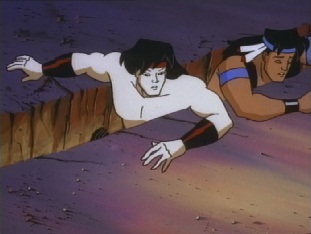 They manage to save themselves from falling into a lava pit by grabbing hold of some conveniently placed ledges, but Shang tells them to get Raiden to appear here. 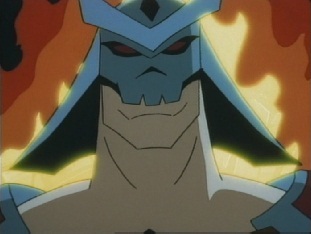 If Raiden does not come soon, he will close the fissure and crush them all. 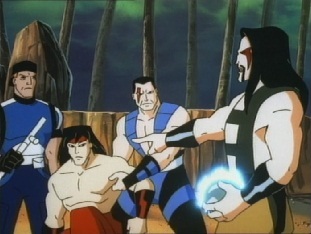 The team get into contact with Raiden and explain about Shang Tsung, the orb, and the fact that Raiden needs to get to them fast. 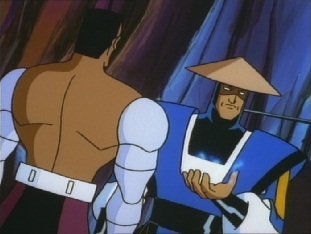 Raiden says to Jax that mentioning the fact that he is losing his powers could really ruin their day. 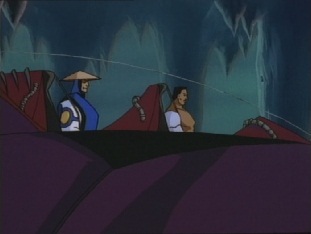 He tells the team to tell Shang that he is on his way, and he has Jax fly him out in a jet. 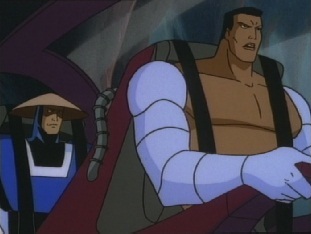 Not that Raiden likes it though -he really hopes he won't have to get use to this painfully slow method of transport. 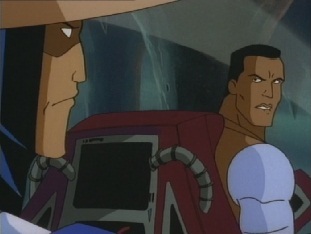 Since they may not make it out of this alive, Jax asks a personal question, which Raiden says he'll answer. 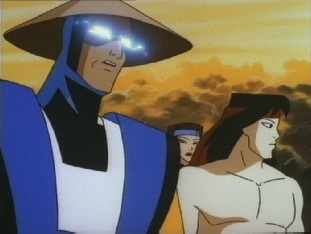 He asks why Raiden chose to stay here guarding the Earth, with all the war going on, when as a God, he could have chosen any realm. 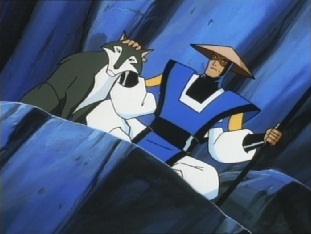 Raiden says the truth is he has become connected to the very essence of this unique planet, with it's amazing diversity of life. 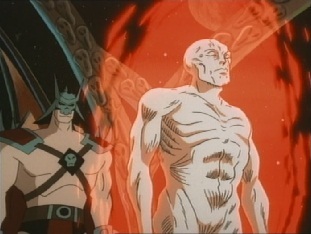 The Earth realm possess great power, but is also very fragile. Too few people realise that over 100 species perish on the planet every day. But he does believe in the power of the human spirit and that it can be the most amazing force imaginable. Plus he says he's always been a sucker for the underdog. Since they are doing confessions, he asks Jax why he gave up a relatively normal life for one of constant struggle and sacrifice? 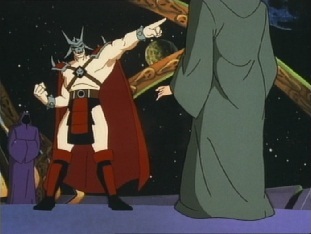 Jax says he guesses he loves this realm also, and if he lets the other realms take over, the Earth would be trashed. 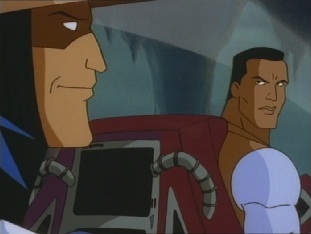 Raiden thinks it is ironic that he himself has become an underdog, but Jax tells him not to think all mortals are wimps, as he and his team have pulled off some amazing things. Raiden says that even without his special powers, he is still 10 times stronger than any of them -he has thousands of more years battle experience. 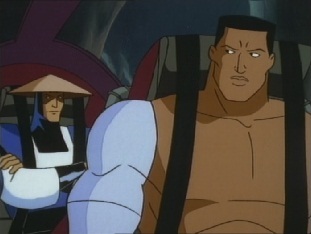 Jax says he is more modest than any of them, but if he is going to face Shang Tsung as a mortal, he has some advice. There are times like he feels what they go up against is too much, and he can't go on. But by working together with the others they can pull off miracles. 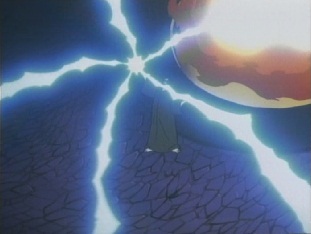 Raiden says he believes he can easily defeat Shang Tsung, however, he believes that this orb is what he is truly up against. 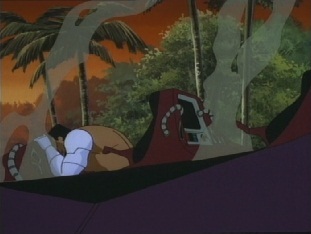 The two arrive at the island where Shang is, but their appearance is noticed by him and he uses the orb to make their jet crash. 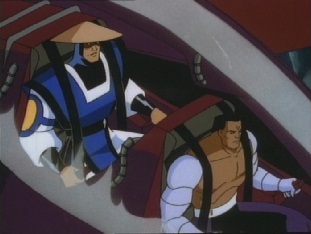 Shang appears and uses the orb to make part of the jet pop off, but when he looks at the cockpit, only Jax is there. 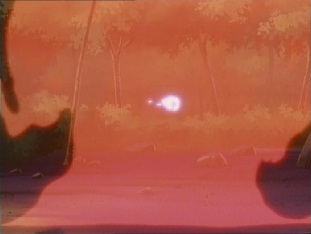 He hears Raiden's voice around him but cannot see him, and starts using the orb to throw out thunderbolts everywhere. 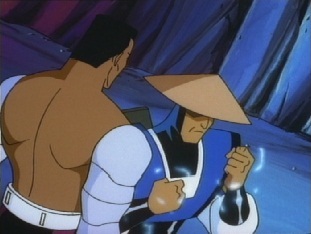 He says Raiden cannot hide from him and challenges the God of Thunder to Mortal Kombat. 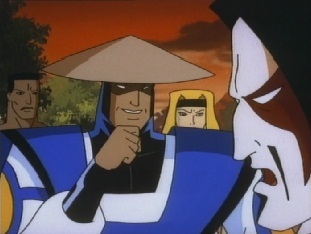 Raiden then appears and starts things off by drop kicking Shang Tsung from above. 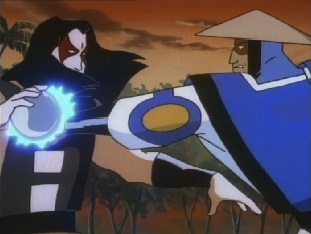 He then delivers another flying kick and batters him with some punches, but Shang keeps hold of the orb and uses it to give Raiden a taste of his own power. 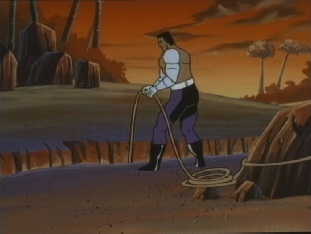 As Shang starts using various elemental attacks, Jax ties some rope to a rock and uses it as a way for the rest of the team to climb up. 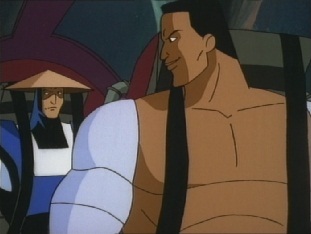 Meanwhile Shang blasts Raiden again and then notices Jax. 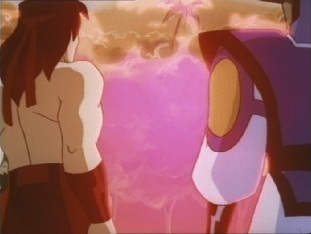 He tells Raiden to watch as he destroys his precious mortals. 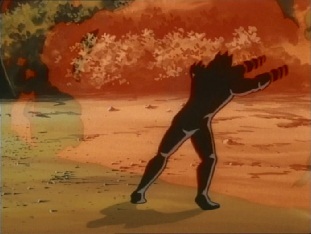 He uses the orb to close the fissure, but with his back turned, it gives Raiden the chance to charge over and tackle him. He finally drops the orb, and Jax collects it before he can retrieve it. 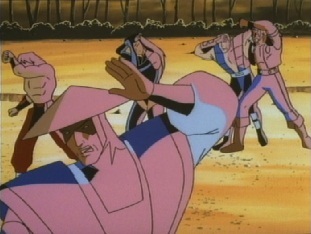 He throws it to Raiden, telling him to try and use it to stop the fissure from closing if he can. ...only for him to reveal that he has gotten them back. 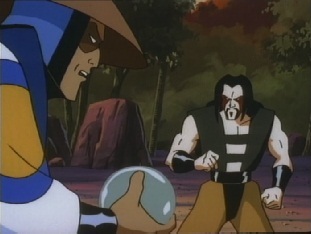 However, Raiden says he's going to kick Shang's tail mortal style, and throws the orb back to Jax. 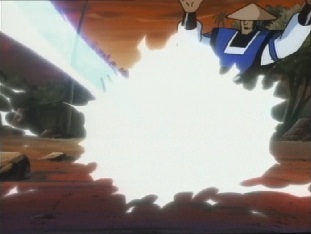 Shang throws a skull fireball at him, but Raiden jumps over it and kicks him a couple of times. 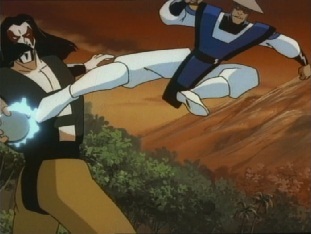 Raiden blocks Shang's next strike and then defeats him with a powerful punch to the guy. 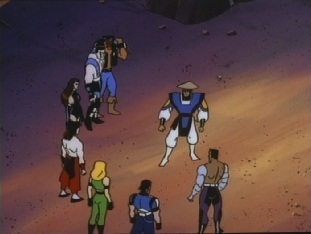 Sonya tells Raiden to finish him, but Raiden has a better idea -he'll let the Emperor deal with Shang. 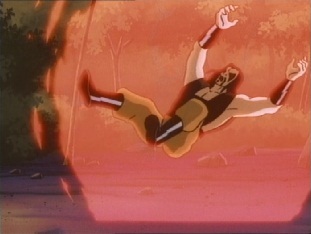 He opens up a portal and then jump kicks Shang so he falls into it. Raiden says things won't have turned out at Shao Kahn would have wanted them to, and he is sure his reaction to Shang Tsung failing him again will be brutal. 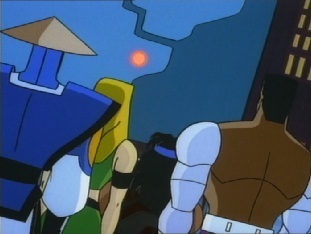 Jax passes the orb back to him and says it is good to have him back to normal, and whilst Raiden says he didn't enjoy being blasted around, he did learn from the experience. 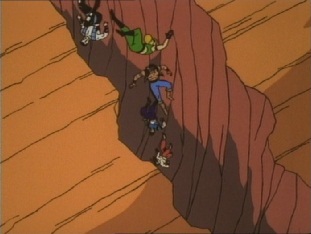 It was as he always believed: mortals can accomplish amazing feats. 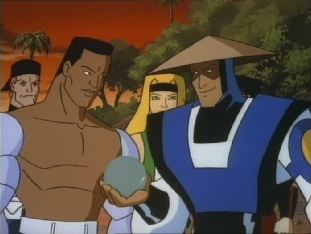 The group then discuss the orb -as soon as Raiden had it, things seemed to return to normal. 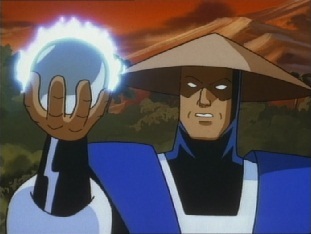 Raiden says the orb is not evil, but it was driven to it when Shang had it. Nature is perfection when she is left to her own devices. 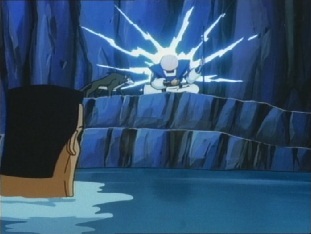 The orb possess too much power and he does not want it falling into evil hands again. 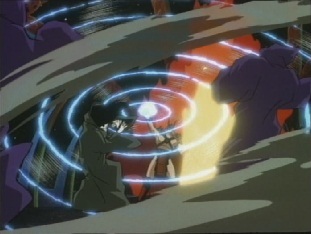 He opens a portal up and throws the orb into it, but as it hits it causes a great flash of light. 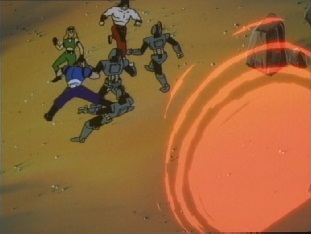 As everyone shields their eyes, nobody notices that someone else jumps into the portal, going after the orb. 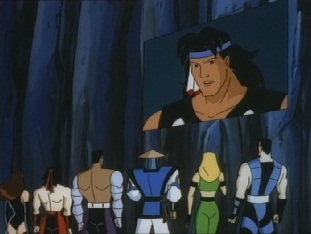 As soon as everyone can see again, Liu Kang asks where the orb was sent. Raiden says he sent it into space -where it should be safe from evil. 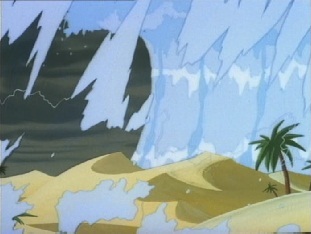 The orb is something that was in several other cartoon shows at the time. 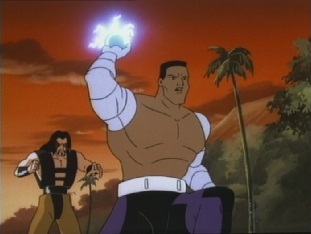 It first appeared in the episode "Warrior King" of the Street Fighter cartoon. 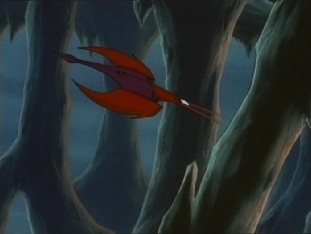 There, the Warrior King character is introduced, who is sent on a quest to retrieve the orb, which belongs to him. 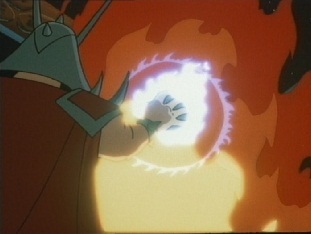 At the near end of the episode is goes through another portal and the Warrior King goes after it. 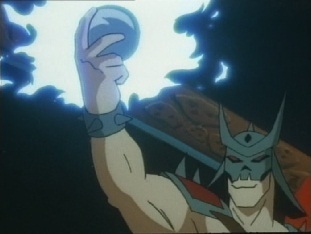 He and the orb then appear in the episode "Endgame" of The Savage Dragon cartoon, where the orb once again went through another portal which the Warrior King also went through. 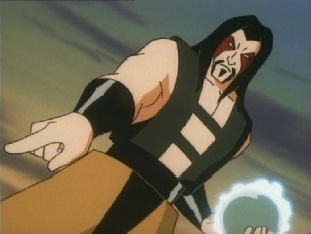 The orb then appears in this episode of Mortal Kombat -the Warrior King character is only briefly seen right at the end. 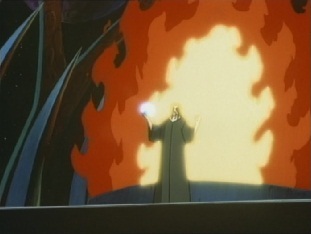 He and the orb would make a final appearance in the episode "Recreation" of the Wing Commander cartoon -hence Raiden's little hint about sending the orb into space at the end of this episode. 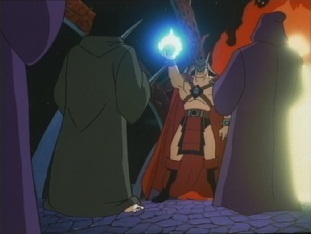 The difference with the Warrior King's appearance in this episode is that he is a shadowy figure, and has no dialogue -in his appearances in the other three cartoons, he speaks and can be clearly seen. 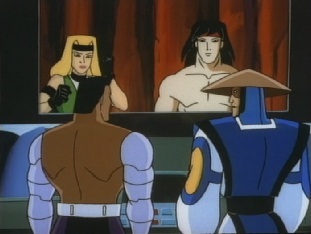 ANIMATION ERROR OF THE EPISODE: Whoever lined up the shot of Nightwolf contacting Raiden did a very bad job. Slanted city.